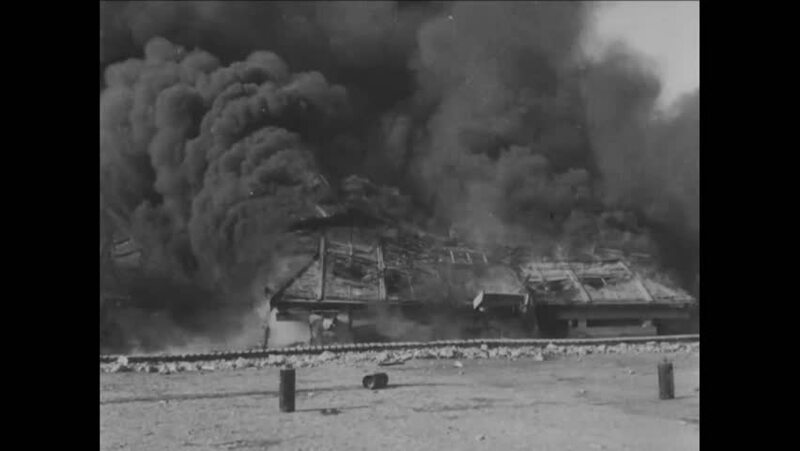 CIRCA 1918 - American soldiers work to douse a barracks fire in Souilly. hd00:38CIRCA 1950s - Several special airplanes prepare and take off in the 1950s. hd00:57CIRCA 1918 - German artillery units shell British batteries and positions in Monchy, France, during World War 1.
hd00:21UNITED STATES, 1940s: Factory chimneys with smoke coming out of them. Panoramic view from the top of a coke processing plant. hd00:261940s: A man drives his Ford to his home office in the 1940s. hd00:22UNITED STATES 1950s : Long shot of a tanker ship. Workers load the ship with petroleum with large hose. Workers turn valves on pipes. An oil barge moves down Mississippi River. hd01:52CIRCA 1940s - The start of the Berlin Blockade in the 1948.